Gov. John Carney, D-Delaware, announced his proposed $4.1 billion budget for fiscal year 2018, beginning July 1, on Thursday. The budget, which the Governor said will address a $385.5 million deficit and an imbalance of revenues and expenses, is a 0.29 percent growth from the current budget. Carney said he believes his proposed budget will make Delaware more competitive, while promoting economic growth. He said it will use a balanced approach that cuts spending and raises revenue, build a long-term sustainable financial plan and contain costs through continuous improvements, while investing in key public services. In addition to the looming deficit, Delaware also faces increased expenses and decreasing revenues. Expanding expenditures include increased school enrollment and a larger special education population. Medicaid and state employee health insurance also costs the state $800 million each. Revenues are expected to be $3.9 billion this year, while projected expenses for the coming year is $4.2 billion. Projected revenues also are $100 million less than anticipated in June of last year. Carney, who hosted several public meetings over the last couple months with legislators and residents, said he took Delawarean’s concerns into consideration when drafting the budget. The proposed budget includes several cuts to healthcare. The slashes in funding include reducing employee healthcare costs by $6.5 million by adjusting the cost share, and eliminating the health insurance premium preference for two state employees who are married. Carney also proposes saving $2.6 million by reducing Medicaid dental reimbursements by 14 percent. However, the Governor also proposed fully funding Medicaid for low-income Delawareans, individuals with disabilities and seniors for long-term care, which would cost the state $11.8 million. He also wants to set aside $1 million for substance abuse treatment services. In the area of education, Carney proposes $3.3 million in cuts to higher education, which is a reduction of 2 percent in each institution. The Governor also proposes eliminating $15 million to school district and charter school operations—but the districts would decide which operations would lose funding. There also would be a $22 million reduction in the Educational Sustainment Fund, which is a flexible account school districts can use for a number of programs, but Carney’s plan would allow school districts to cover the reduced amount by raising property taxes through legislation. Carney also proposed funding new teachers at a cost of $25.1 million. His budget would use $4.7 million to maintain investments in early childhood education and set aside $1 million for opportunity grants for schools serving disadvantaged students. Some Democrats and Republicans in attendance said they disagree with some of Carney’s educational proposals. 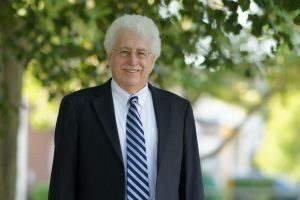 State Rep. John Kowalko, D-Newark, said allowing school districts to create a match tax for the Educational Sustainment Fund without a referendum but through legislation will “doom referendum efforts” throughout the state. Other items in the budget include spending $4 million to maintain funding for affordable housing, and $3 million for the state’s rental assistance program. Carney’s budget also takes steps to address concerns about low staffing and salaries at Delaware’s correctional institutions, with $4.7 million to increase hazardous pay for correctional officers, $2.3 million for 75 new officers at James T. Vaughn Correctional Center and Baylor Women’s Correctional Institution and $1.3 million for new equipment and training. Correctional officers’ salaries also would increase to more than $37,000. Carney’s proposal would also change Delaware’s tax code to make revenues less volatile, and more responsive to economic growth, and distribute costs so almost everybody contributes—with those earning more paying more. The budget includes raising the corporate franchise tax for large companies, reforming the personal income tax and increasing taxes on cigarettes and tobacco from $1.60 to $2.60. The increase in the corporate franchise tax, which currently generates $1.1 billion for the state, will mostly affect large companies. Carney proposes raising the maximum tax rate from $180,00 to $250,000 for companies with revenues between $250 million and $750 million. There would be no tax increase to mom-and-pop companies or LLC’s. The recommendations on personal income tax include eliminating itemized deductions and increasing the standard deduction by more than 50 percent. Each tax bracket also would be increased by 0.2 to 0.4 percentage points. In addition, Carney suggests increasing the eligible age for additional personal credits and retirement income exclusions from 60 to 65 in one-year increments. He also proposes reducing the senior property tax credit by $100. “People are willing to pay a little bit more if they feel like the government and those of us who are running it on their behalf are doing so with a commitment to using taxpayer dollars as efficiently and as effectively as we possibly can,” Carney said. Lopez said he believes the corporate tax increases are fair, but is concerned about the changes to personal income tax. Kowalko said he believes increasing the cigarette tax will put Delaware at a competitive disadvantage. He also said he doesn’t agree with changes to the personal income tax that would affect lower earning individuals. Instead, Kowalko would raise taxes for Delawareans who can afford it, for those earning $125,000 or more and $250,000 or more. He plans to introduce legislation in an effort to accomplish this. Carney’s budget also sets aside $40.7 million for Grants-in-Aid, which is $4 million less than the current year’s budget. The Joint Finance Committee would have to decide which entities would get less funding. Carney said the budget includes several cuts he would rather not make, but had no choice with the looming deficit. “We gotta make tough decisions. Look, if there’s something in the package you don’t like and want to take it out you gotta add something else. If you don’t like one cut you have to either add one cut in or add revenue in. We could do it with all tax increases—that’s not what I heard from constituents. We could do all cuts, I didn’t hear that either. All cuts would be significant,” he said. 7:30 p.m. – April 26 – Rose Hill Community Center, New Castle, hosted by Senator Margaret Rose Henry and Representative J.J. Johnson. By law, Delaware’s budget must be approved by the end of June.